Each obverse ("heads" side) of the coin will depict the current George Washington image. 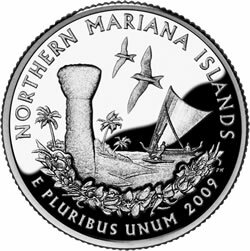 The following is a listing with the proof 2009 quarter reverse or tails side image, their design descriptions, and the US Mint designer and sculptor. Designs for each quarter were submitted and recommended through a process determined by the Governors for the District of Columbia and each United States territories. 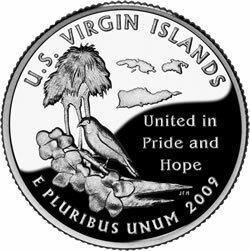 The U.S. Mint reviewed the designs before each Governor recommended a final design based mostly on a resident voting with some using a committee selection process. 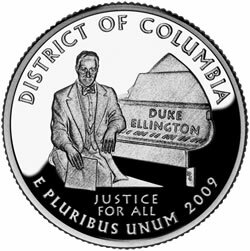 Both the Citizens Coinage Advisory Committee and the Commission of Fine Arts were involved in improving designs while the Department of the Treasury selected each. 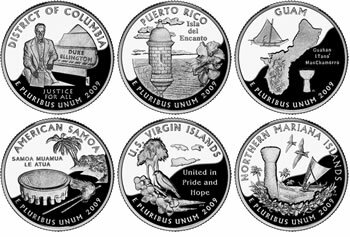 After the DC and US Territories Quarters Program ends in 2009, National Park Quarters will launch beginning in 2010. 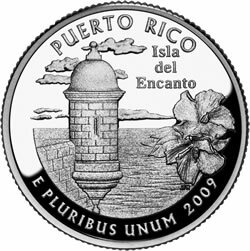 I have 2 of them, Guam, and Puerto Rico. Is there a folder for these, and how do you get it? Where can I get these quarters? 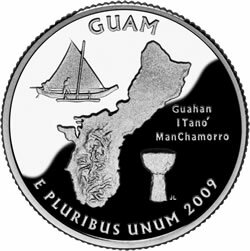 I have a Guam quarter that is painted. Is this normal? I use “State Series Quarters Collector Map” book for my quarter collection. 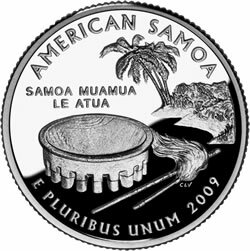 I still need 4 quarter from this year, District of Columbia, Guam, American Samoa, Northern Mariana Island. They seems impossible to find somehow.